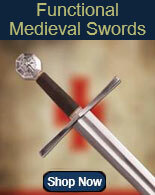 Masonic swords for sale include a selection of daggers, display swords and collectible designs. 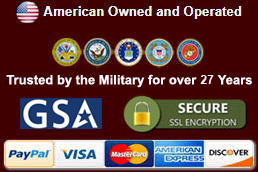 Display swords for sale are full sized swords that typically include display plaques. 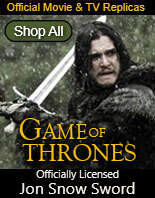 They are available in Mason, Knights Templar and King Arthur styles. The collection includes museum quality Freemason, religious, Catholic and Excalibur styles made in Spain by Marto. 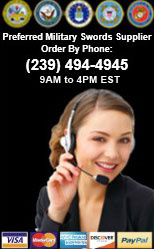 Buy all types of ceremonial Masonic swords and collectibles on sale now. Masonic Daggers for sale are 19 ½ inches in all. 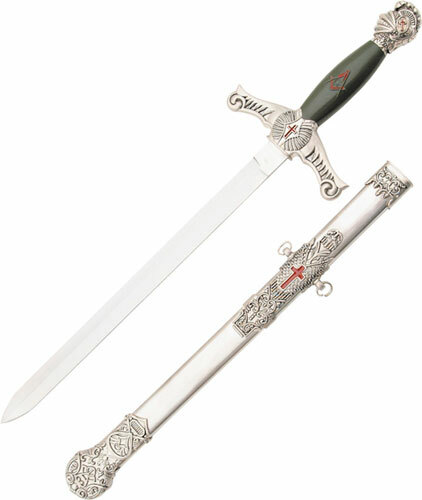 These daggers feature a dark green colored handle with a red Mason emblem on one side and a cross on the reverse side. The 13 ½ inch stainless steel blade features a double edge. The cast metal silver colored pommel is shaped like a knights head. The cast metal silver colored handle features a red cross in the center and is flanked by medieval designs and scrolls. The beautifully detailed cast metal scabbard features a mirror polished silver finish. 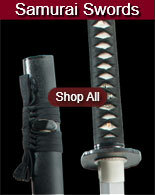 Buy these popular Masonic Daggers for $29.99.